From Napoleon Bonaparte to Winston Churchill, military experience has provided both men and women down the ages with a wealth of sage advice and wise council, not only on wartime strategy, but on lessons for living a good life; from the moral and political dimensions of conflict, to leadership, work, marriage, family and friendship. Historian Jeremy Archer has delved into his personal archives to compile an absorbing and illuminating collection of advice from military figures through the ages, from great generals and military strategists, to wartime leaders, soldiers, writers and poets. 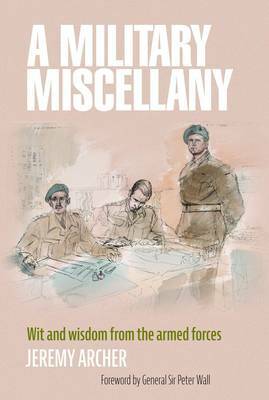 Ranging in tone from the heartfelt - such as letters of advice written from fathers to sons - to more light-hearted instruction, Jeremy Archer's collection of military wisdom provides a wealth of wise words, humorous anecdotes and witty bon mots, as well as life lessons learned by military figures that still resonate strongly today.